In 2014, the world generated 369,597 MW (Megawatts) of energy by harnessing the wind. However, that number is growing every year. Advances in technology and a reduction in the price are continuing to increase the appeal of wind power. In fact, you may be surprised by who gets the most electricity from this renewable energy source. At the moment, China is the largest producer of wind power in the world. They harness 114,763 MW every year, which accounts for 31% of the global total. This figure is surprising because we often think of China as being polluted and dependent on coal. While that may be true, they’re also heavily invested in the use of renewable energy. Second place goes to the United States. America annually generates 65,879 MW, which is 57% of what China produces. Overall, 4.4% of the country’s electricity comes from wind power. While this is a relatively small number, it’s still enough electricity to power 16,469,750 homes. Coming in at number three is Germany, who generates 39,165 MW of power from wind sources. Impressively, 9% of all energy demands in Germany are met by wind power. In fact, some places in the north of the country get up to 40% of their energy from the wind. Wind power works best when the turbines are located offshore. That’s because the wind is strong and steady. This is one of the reasons China has so many wind turbines. Their large coastline gives them lots of usable space for wind turbines. If not located out at sea, the next best place for a set of windmills is directly on the coast. They’ll still be able to catch fast moving wind coming from the ocean, allowing them to produce electricity at their full potential. The largest problem with wind energy is inconsistent energy production. For example, a country may have peak energy demands during a hot summer day when a lot of air conditioners are running. Unfortunately, windmills might not even be spinning then, which means that they aren’t helping to produce any electricity. If you’re a country like Germany, that gets 9% of it’s power from the wind, this can be a big problem. Because of the instability of wind energy, countries have to back up the infrastructure with secondary energy plants. Another grievance against wind power has to do with the turbines themselves. While newer models tend to be quieter, all turbines make some noise. Some people also don’t enjoy having to look at them every day. They feel like the landscape shouldn’t be disturbed by huge towers and spinning rotors the size of lorry trailers. A smaller turbine, capable of providing enough energy to power a single home, may cost anywhere from 30,000 to 50,000 pounds. However, that’s the extreme end of the scale. With wind power, economics of scale takes over. Per MW generated, a larger wind farm is often significantly cheaper to build than a small windmill. That’s thanks to tax incentives and other government sponsored, cost reducing programs. The price for a 2 MW wind turbine, which is the large size you can see scattered across the countryside, is between 2,000,000 and 2,600,000 pounds. The lifespan for most wind turbines is around twenty years. Of course, new advances are making windmills more durable. A wind turbine will spend about 66% of its life spinning. Over the course of twenty years, that works out to about 120,000 hours. At the end of the twenty years, it’s often cheaper to replace some parts of the turbine rather than to build a new one. The tower that holds the turbine is often in good condition, and safe to use for many years into the future. The cost of energy from a wind turbine is often comparable to traditional sources, like coal and nuclear. Sometimes wind energy is more expensive, sometimes it’s equal and in an increasing number of cases, it’s actually less expensive. The great thing about wind energy is that no matter what else happens, the essential ingredient will always remain free. In the last five years solar panels have gotten significantly cheaper. Combined with government incentive programs, that has made them an affordable option for many households across the UK. As the technology continue to improve and the price drops, we are sure to see even more homeowners opting to install a PV solar system on their roof. What some people don’t realize is that solar power is still a very viable option, even if you live in a cold climate or a country that doesn’t get a lot of sun. The greatest example of this is Germany. Despite only having 62 sunny days a year, Germany still generates more solar energy than any other country in the world. If you live in a snowy region, there are several steps you can take to ensure that your solar panels always function at their full potential. Panels can be installed at a more extreme angle which will cause snow to slide off. You can also buy a special rake which allow you to clear snow off your panels. It’s important to realize that solar panels will work fine in cold weather. So long as they have access to the sun, they will continue to generate energy. By percentage, Italy is number one. The Italians generate 7.8 percent of all their energy from solar panels. This puts them ahead of Germany, which generates 6.2 percent of its energy needs from solar sources. However, overall Germany is number one. The Germans generate 35.5 GW of energy from solar sources every year. They have good financing, financial incentives, and public awareness surrounding solar panels. Second place goes to the Chinese, who annually generate 18.3 GW of solar energy. Although that may soon be considerably more. Since 2009, China has grown its use of solar power by an astounding 6,000 percent. Solar panels don’t provide consistent energy. If they are in the shade, have snow on them, or are dirty, then they don’t work correctly. Also, like Christmas tree lights, if a single panel on a solar system isn’t receiving sunlight, than the whole panel may not generate electricity. That’s why it’s so important to choose an ideal place for installing your panels. A solar panel system is affordable for most homeowners to install. That’s because of tax rebates and the Feed-in Tariff scheme, which provides homeowners with a rebate for installing solar panels. On a large scale, solar farms are now producing energy at a price comparable to coal. However, as the panels continue to drop in price, solar panels will consistently begin to start producing electricity at a price cheaper than non renewable energy. If we filled 65,000 square KM with nothing but solar panels we could power the entire world. In reality, that’s not really a lot of space, especially if we consider that these panels would be distributed across the earth. However, the bigger problem is not the panels but the grid itself. Regrettably, we can’t build this entire complex in the Sahara desert then expect it to power the world. However, we can continue to build solar installations across the world. As the infrastructure continues to improve, then we may find some exciting new opportunities in the future to use massive installations with hyper-efficient panels. We’ve already seen so many advances with solar technology that many people are optimistic about its future. If you have a large coastline, lots of empty uninhabited land, or can place the windmills offshore, wind energy is probably going to be a better choice. Since some people are put off by wind turbines, governments have to keep their disruptive appearance in mind before deciding to build a whole field of them. The benefit of a large wind farm though is that it can provide a massive amount of energy to region. That makes it ideal for powering industrial areas or cities. However, solar panels are definitely a better fit for personal energy generation. First off, they are cheaper for a homeowner. With all sorts of government backed programs, most residential and commercial solar panels will pay for themselves after ten years. After that, they’ll start to earn you money back. Second, solar panels can be installed in more places. Even small wind turbines still need to be as much as 8 to 10 metres off the ground. Even then, they don’t work well when places around trees or homes which block their wind. That makes solar panels the better choice for residential areas. 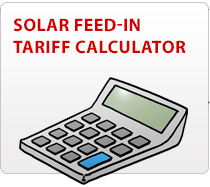 Ready to earn £4771 or more in government solar payments? Select your area and fill in the fast form to start the process now!